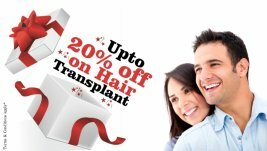 Hair specialist will transplant the hair from the grown areas to bald areas. In this he removes hair bearing scalp surgically and brings it closer to bald areas. This reduces baldness. In this some devices are inserted below the scalp for 3 to 4 weeks, so that it stretches hair-bearing areas. It reduces balding. In this hair-bearing segment of scalp is moved and surgically placed in the place where hair is needed.